Stefan Hecht, born in 1974, studied chemistry at the Humboldt-Universität zu Berlin and the University of California, Berkeley, where he completed his PhD in 2001 on macromolecular organic chemistry under the guidance of Professor Jean M. J. Fréchet. 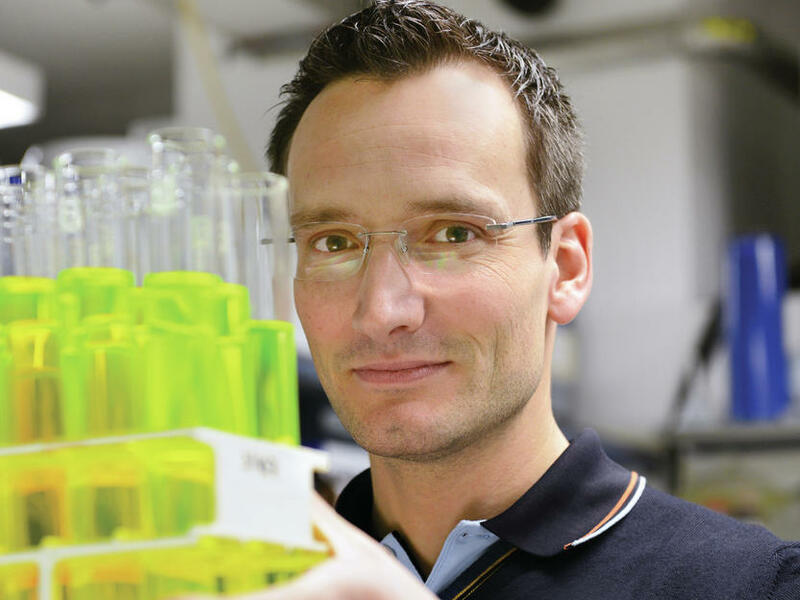 After positions as a junior research group leader at the Freie Universität Berlin and group leader at the Max-Planck-Institut für Kohlenforschung in Mülheim an der Ruhr, he moved back to his alma mater in 2006, where he heads the laboratory of organic chemistry and functional materials. Stefan Hecht received the MIT Technology Review Top 100 Young Innovator Award (2004), the ADUC Annual Award of the Gesellschaft Deutscher Chemiker (GDCh) for independent young scientists (2005), the Klung Wilhelmy Weberbank Prize for chemistry (2010), and an ERC Starting Grant (2012, Consolidator Phase). Stefan Hecht's research lies at the interface of chemistry and physics. His main research interests include the development of methods for the controlled assembly of molecular building blocks in dynamic, programmable nanostructures and the design of photoresponsive systems and (macro) molecules, including intelligent (hybrid) materials, optoelectronic components, and solar energy storage.